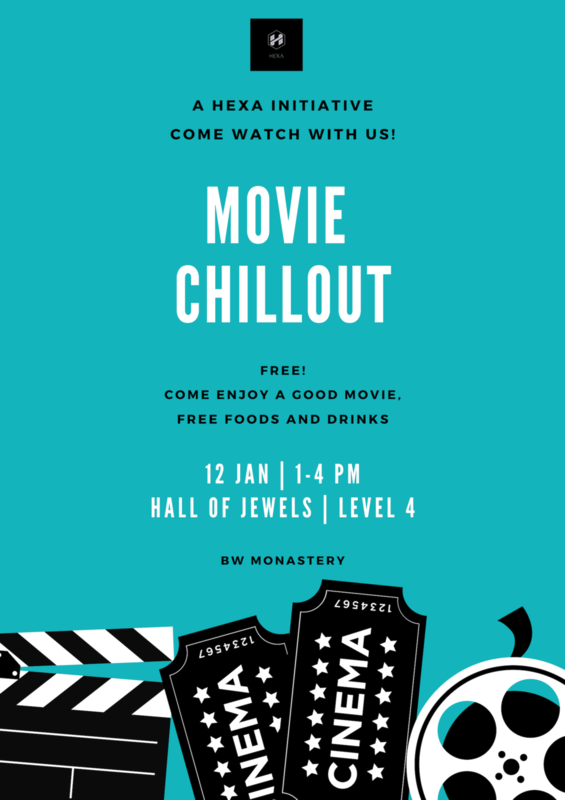 BW Monastery 吉祥宝聚寺 — MOVIE CHILLOUT~ Start of Year Edition! MOVIE CHILLOUT~ Start of Year Edition! Hi Everyone! It’s 2019 and Movie Chillout is ready to kick off the year with our first session! Bring your family and friends to celebrate the start of the year with us by watching a meaningful movie! Free food and drinks provided!